Food is vital to survival, and animals have developed strong physiological mechanisms that control feeding behavior and the search for food. 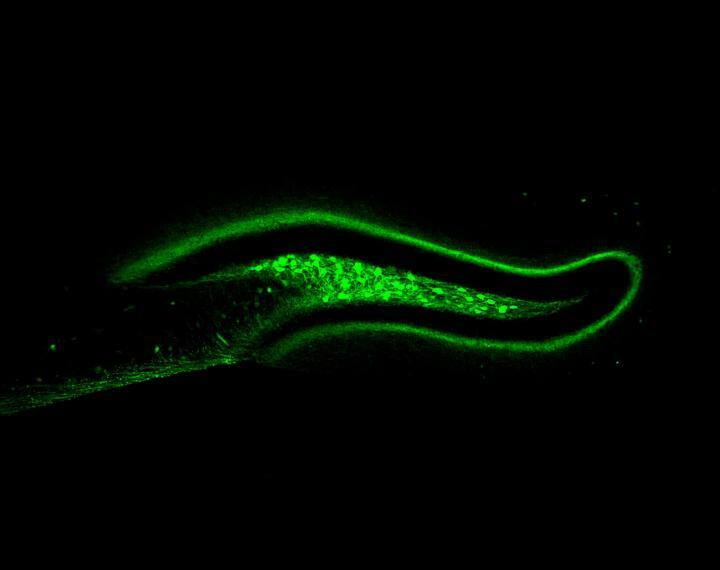 Scientists at Rockefeller University have now identified a set of neurons in the hippocampus of mice that can hold back the drive to eat, but which also play a role in regulating food-related memory. We know that humans can consciously decide not to eat even if they are hungry, say, for example, to save their appetite before meeting friends for a meal. Research suggests that animals may also employ cognitive processes in their feeding behavior, and studies have found that changes to neurons in the hippocampus, a brain region involved in memory, can alter feeding behavior. “Recently, several groups have also shown that hippocampal dysfunction can alter feeding behavior,” the authors wrote. Using methods including a technique known as PhosphoTrap, which can enable molecular profiling of gene expression based on a change in the activation state of specific neural populations, they found that food cues activated a specific subpopulation of hippocampal neurons that expressed the dopamine receptor 2 (D2R). These initial results indicated that the hD2R neurons were activated by visual cues and possibly olfactory cues associated with the presence of food. Knowing where to find food is important for wild animals, and the brain is, fortunately, very effective in remembering the location of past food sources. In a subsequent set of tests the researchers investigated whether the hD2R neurons also played a role in positional food memory. They found that when they stimulated the hD2R neurons while the mice were moving around a food-containing environment, the animals were then less likely to return subsequently to the area in which the food had previously been located. Stimulating the neurons had somehow reduced the animals’ memory of prior food location. Further tests demonstrated that the hD2R neurons received their input from the entorhinal cortex (LEC), a region of the brain that processes sensory information, and then sent the information on to the septal area (SA), which is involved in feeding. The combined data “suggest that hD2R neurons can reduce food intake in hungry animals via projections to the SA,” the researchers noted.